Attorney Dr. Nick Oberheiden and his team of former Justice Department health care fraud prosecutors assist clients in Medicare audits. A recent trend in ZPIC audits is the issue of data extrapolation, which this article addresses. What Is Data Extrapolation in ZPIC Audits? Section 1893(f)(3) of the Social Security Act authorizes statistical extrapolation by ZPIC auditors when either (a) there is a sustained or high level of payment error; or (b) documented educational intervention has failed to correct the payment error. ZPIC auditors have recently expanded their use of “educational letters” to begin targeting specific providers. Such educational letters typically outline concerns regarding practices of the provider, and suggest corrective education. The letters do not specifically instruct or require the provider to implement any corrective actions. The educational letters are then used against a provider as “documented educational intervention” that was not corrected properly. This documented educational intervention is cited as grounds for the use of statistical extrapolation in a subsequent ZPIC audit. If a ZPIC audit that implements statistical extrapolation is performed on a provider, multiple steps should be taken to challenge the findings, with a focus on the sample. If the sample can be successfully challenged, the extrapolated final overpayment is reduced. Note, any challenge may result in a recoupment of actual overpayments from the sample (without extrapolation), and/or a new review. Clients are ill-advised to challenge an extrapolated finding simply because a more precise or better method of extrapolation exists. As there are multiple accepted methods of extrapolation, the validity of the results is not necessarily affected by one method over another. Similarly, do not challenge an extrapolated finding on the basis that one or more requirements of the Benefit Integrity Manual were not followed. Per CMS Program Integrity Manual 8.4.1.1, upon receiving a complaint that requirements of the Benefit Integrity Manual were not followed, CMS may review the performance of the auditor, but the validity of the results is not necessarily affected. Challenging Individual Claims. The individual claims in the sample are the source of the error rate used for extrapolation. If some of the claims are proven to be incorrectly include errors, then the sample used for statistical extrapolation can be proven to have a lower error rate than initially reported. Per CMS Program Integrity Manual 8.2.3.2(D), if a provider submits additional documentation, after a review of the material, an adjustment may be made to the preliminary projected overpayment. That adjustment would be applied to the final overpayment. 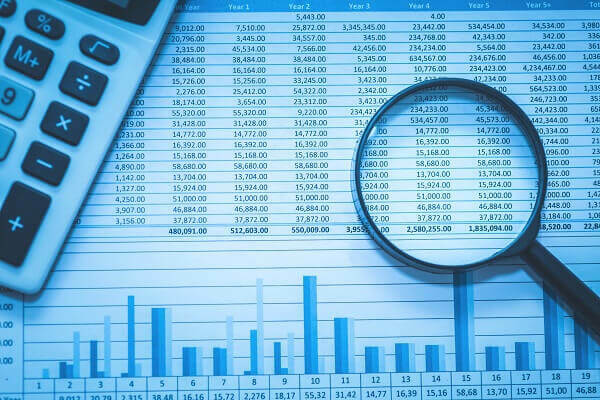 To challenge the statistical extrapolation of an audit, an expert statistician is generally required to provide expert opinions on the challenged issues. The list of causes for flawed statistical extrapolations provided above is not exhaustive. Consulting an experienced attorney who knows and works with an expert statistician is most prudent in analyzing the audit. What Are the Steps of the Appeals Process? Rebuttal: The rebuttal is not required as part of the appeals process, and, if submitted, must be filed within 15 days of the dated demand letter. Due to the tight filing window, a rebuttal should not be a focus, as the productivity of a rebuttal is low compared to redetermination or reconsideration. Redetermination: Redetermination should be filed within 30 days of the dated demand letter to delay recoupment. Additional documentation should be submitted during this process. Reconsideration: Reconsideration must be filed within 60 days of the dated redetermination decision to delay recoupment. Supplemental documentation should be submitted during this process. A Ph.D. level statistician may be retained to develop challenges against the implemented statistical extrapolation. ALJ Appeal: An ALJ appeal must be filed within 60 days of the dated reconsideration decision. A Ph.D. level statistician must be able to articulate statistical challenges to an Administrative Law Judge, and providers must be able to explain other documentation challenging individual claims. MAC Appeal: A MAC appeal must be filed within 60 days of the dated ALJ decision. In a MAC appeal, the provider challenges the ALJ’s decision based on an error in applying the law or lack of consideration of all the evidence. However, the MAC may overturn favorable positions of an ALJ decision. Federal District Court: An appeal to the Federal District Court must be filed within 60 days of the dated MAC decision. Note: Recoupment is stayed only during the Redetermination and Reconsideration phases. Once a Reconsideration decision is rendered, the MAC may begin recouping the overpayment by garnishing future reimbursements otherwise due the provider. Family Rehabilitation, Inc. v. HHS & CMS (2018). Most extrapolated audits result in large overpayment findings. CMS has established the Extended Repayment Schedule (ERS) to allow providers to repay in parts, rather than in whole at once. According to CGS Medicare, a provider must establish financial hardship by sending financial documents to CMS with a request for ERS. ERS may be established for any provider, for all or part of an overpayment; and may be requested at any time during the appeals process as long as the overpayment remains outstanding and has not been referred to Treasury. Any new or modified overpayments do not automatically fall under an already established ERS. The provider must submit separate ERS requests per revised overpayment. If full repayment does not occur within 30 days of the dated initial demand letter, simple interest of 10.625% will be charged, starting on the 31st day, per CMS Transmittal 297, effective 01.19.2018. Interest is calculated in 30-day periods, accruing on the remaining principal balance. Payments first are applied to interest charges, and then to principal. If your Medicare business, home health agency, hospice agency, DME company, hospital, or medical group has questions about ZPIC audits or wants to discuss civil/criminal exposure in Medicare audits, please contact our firm by calling attorney Nick Oberheiden directly on his cell phone at 866-Hire-Nick. There will be no secretaries or paralegals walling you off.